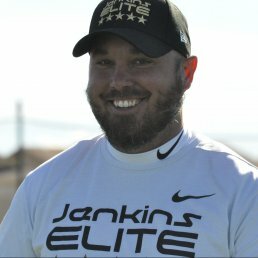 Coach Ty started with Jenkins Elite in 2016. Since coming on as an assistant QB Coach he has worked with every Quarterback that Coach Jenkins has trained. Ty handles all of the prep and organization for group training and football school sessions. Since 2016 coach Antonides has helped and assisted with the training of every Quarterback in the program. He is instrumental in the organization and delivery of every group and NFL training session. Coach Antonides has worked with well over 100 athletes in the 9 years he spent coaching Cherry Creek. He worked with and helped develop 3 athletes that went on to player division 1 football and 7 other athletes that went on to the division 2 level. Four of his Nine teams made it to the AYL Super Bowl. Coach Ty Antonides served as an offensive assistant on the AYL Bronco Bowl team that won the 2016 Bronco Bowl. 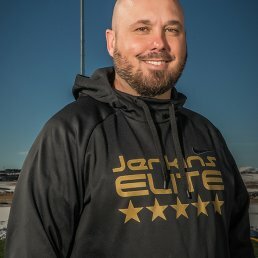 Ty Antonides worked with the FBU Team Colorado as an offensive assistant and helped the team advance to the 2nd round of the national championship tournament. Coach Antonides worked with 21 athletes over his two years with the Patriots. Helped take a first-year team to the AYL Super Bowl and had 3 athletes from that team go on to play college football. Antonides helped lead the team to a better record over the course of 3 years than the program had in the previous 10 seasons.